Chilling over the Himalayas earlier this week. Today, a static fire test was completed as part of preparations for tomorrow's SpaceX cargo resupply launch. A CRS-6 rocket will bear a SpaceX Dragon cargo craft to the ISS, with the launch slated for 4:33 PM EST tomorrow. SpaceX will air the launch live, with coverage starting at 4:15. The mission, which is the sixth of its kind for SpaceX, will include cargo for life science, physical science, material science, and commercial experiments. No fires, other than the intended launch-induced ones for the SpaceX. One important study that will be carried out (thanks to the deliveries from the Dragon) is an analysis of osteocyte cultures (bone cells) that will arrive on the ISS for the first time ever. Since previous residents of the space station have showed a loss of bone mass when studied after their return to earth, scientists are experimenting to find out why this happens. 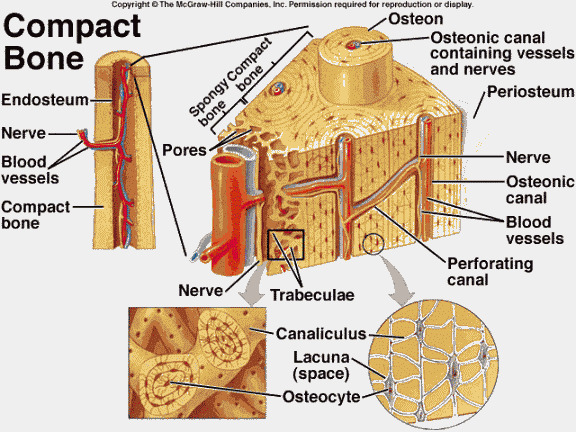 Osteocyte cells function by sensing mechanical forces as they are applied to the body, and subsequently sending biological responses to other cells to create or remove more bone. On the ISS, the cells (housed in "bioreactor" protective enclosures) will be frozen at different intervals, thus stopping cell progress and allowing researchers to deduce exact points at which the cells adapt differently. Of course, on the ISS, even eating breakfast looks like a serious science experiment. Another new experiment that deals with how to maintain and improve optimum astronaut function in space is the Fine Motor Skills experiment, which will use iPad tablets to assess how well astronauts are able to operate smaller-scale devices (particularly computers) during prolonged spaceflight. The astronauts will be tested on four types of tasks: pointing, dragging, tracing, and pinch-rotating images on the tablets. This will enable researchers to determine if extended stays in microgravity significantly inhibit accuracy in astronauts' fine motor skills, and if so, how dramatically. For Earthlings, this research and its results could be used as a diagnostic or rehabilitation process for those with impaired motor skills, according to NASA doctor Tina Holden. In other news, the station crew practiced an emergency drill this week in collaboration with mission controllers in Houston and Moscow. The scenario put the astronauts through practice for a sudden depressurization of the ISS. Keeping in practice for emergency scenarios is crucial for effective and efficient responses, which reduce the "demiseability" factor of a mission tremendously. The Twin Study of astronaut Scott Kelly and his brother Mark continued apace, gathering data and observations from the continued mission of one earthbound and one spacefaring twin. Kelly, who has been adapting well to his life on the ISS (where he'll be residing for much of the next year, stalkable via #YearInSpace), also captured a lovely image of Manhattan from space yesterday evening. Long shadows over Jersey and lower Manhattan. Cool, how our tall buildings are visible from orbit. And Kelly's not the only one capturing cool images. On Instagram, NASA astronaut Terry Virts has been documenting, among other things, every major league baseball park from space. You can follow this mission via #ISSPlayBall. You can also follow his adventures on Twitter. Sorry Missouri, but you look much cooler from space. Speaking of adventures, if you want to know more about the science taking place aboard the ISS, a collection of free ISS research guides have been released by NASA. Current titles include Technology Demonstration, Microbial Research, Earth Observations, Space Environmental Effects, and Plant Science. New titles will follow soon, featuring topics like Rodent Research, Fluid Physics, and Combustion Science. That's all for this week, space fans! We'll see you next week with updates on the SpaceX Dragon launch as well as all the best news from low-earth orbit...watch this space! Happy Anniversary of manned spaceflight! 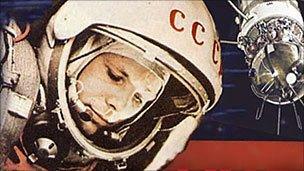 54 years ago today, cosmonaut Yuri Gagarin became the first human being in space. Celebrate his achievements (and all that followed) in stellar style!